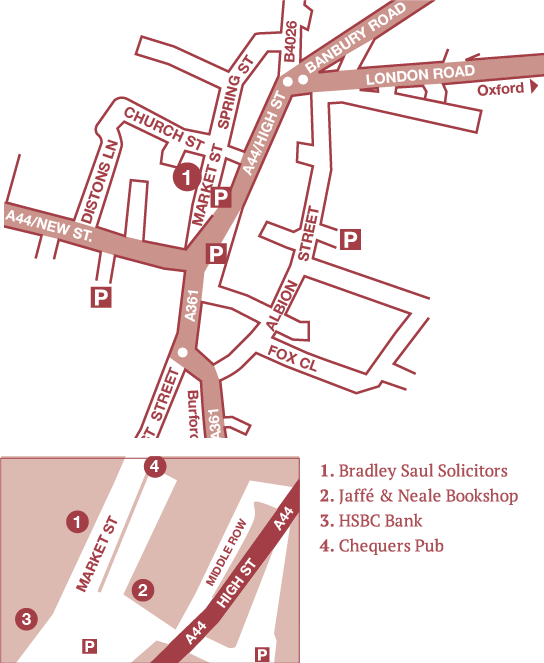 Our office is in the centre of Chipping Norton on Market Street, which runs from the central market square (where HSBC is located) to the Chequers Pub. There is free parking outside our office (half hour only) and two hour parking on the market square. You are welcome to contact us in the way that is most appropriate for you. This could be by telephone or email or by calling into the office. We do not charge for our first meeting or appointment and can often arrange to see you either early or late in the day so as to fit in with work or other commitments. If you are disabled or unable to come into the office then we can usually make arrangements to visit you at home.